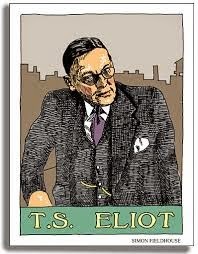 El 4 de enero de 1965 murió T. S. Eliot, poeta angloestadounidense, ganador del Nobel de Literatura en 1948. ¿Dónde está la sabiduría que perdimos con el conocimiento y dónde está el conocimiento que perdimos con la información? I really like this book.Today students does not have any interest in reading books.The lack of reading they can also loose the creativity ideas.This may lack their grades.Because of loosing marks in assignments,essay,article.Some students hire writing service for their writing help. Do you want to write an essay about Eliot? have a look here and you will find a lot of narrative essay writing tips that would help you along the way! The book is great. I would love to read this book. It does not contain much useful information. Wonderful post, sir, thanks a lot for it.